A couple of hours north of Lisbon, Coimbra is the Oxford or Cambridge of Portugal — the home of its most venerable university. 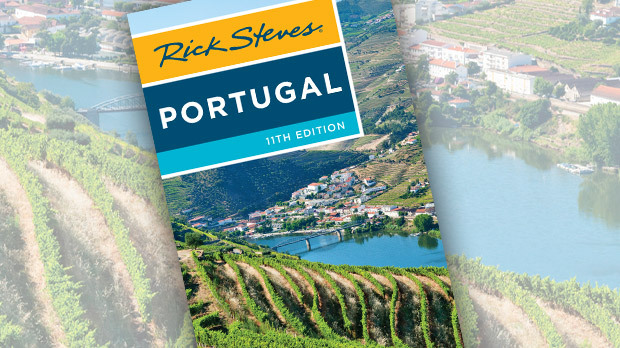 It's also the country's easiest-to-enjoy city — a mini-Lisbon, with everything good about urban Portugal without the intensity of a big metropolis. I couldn't design a more delightful city for a visit. One of the best activities in Coimbra is wandering the inviting, Arab-flavored old town — a maze of narrow streets, timeworn shops, and tiny tascas (budget eateries). A pedestrian street divides the lower part of the old town (Baixa) from the upper (Alta). Historically, only the rich could afford to live within the protective city walls of the Alta. Even today, the Baixa remains a poorer section, with haggard women rolling wheeled shopping carts, children running barefoot, and men lounging on squares as if wasting time is their life's calling. One of my favorite old-town stops is the Mercado Municipal. Though nearly every city in Europe has a vibrant market, in many cases, the character has been lost thanks to the European Union asserting itself and raising hygiene standards. But in Coimbra, the color and twinkle survive. Visitors can still feel the wrinkled and fragrant pulse of the town and see the "salt of the earth" in the faces of the women selling produce while their men are off in the fields — or in their beloved "little chapels" (a.k.a. bars). To find the market's seafood section, all you have to do is follow your nose. While fresh seafood is abundant, the Portuguese favor bacalhau — dried and salted cod. Perhaps it's in their collective DNA, from the age when preserved-in-salt cod was the life-sustaining protein sailors filled the bilges of their ships with. Even though cod is no longer found in nearby waters, the Portuguese remain the world's biggest cod eaters, importing dried and salted cod from Norway, stacking it like wood, and — when it's time to eat it — soaking it and cooking it. Frankly, it's just the strangest thing: a nation's primary staple imported from faraway Norway. When touring any city, it's fun to drop in on the local university. 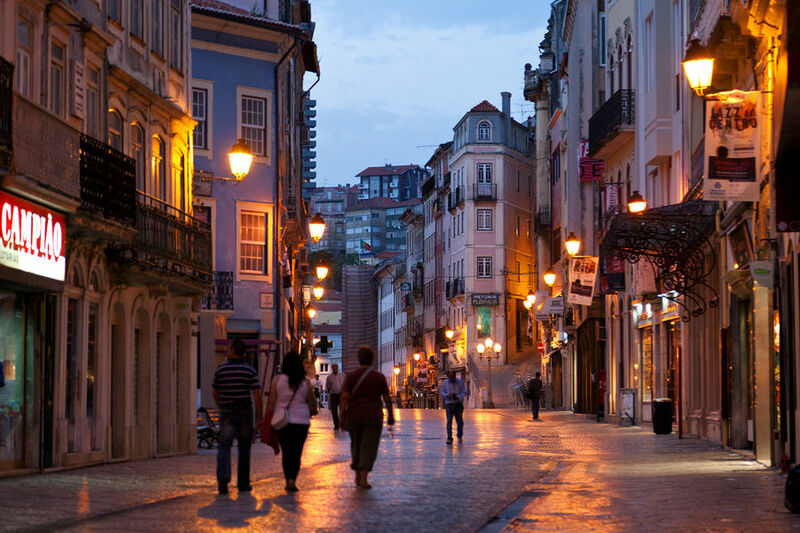 Coimbra's is beautifully situated on a hill, overlooking the city. To get there, you can follow the little lanes that meander up like the alleyways of a Moroccan medina, or ride an elevator halfway up the long, steep hill, then transfer to a funicular. The university's highlight is one of Europe's best surviving Baroque libraries, displaying 55,000 books in 18th-century splendor. The zealous doorkeeper locks the door at every opportunity to keep out humidity, so you need to buzz to get into this 300-year-old temple of thought. The interior is all wood. Even the "marble" on the arches is painted wood, since real marble would add to the humidity. The resident bats — who live in the building, but not the library itself — are well cared for and appreciated. They eat insects, providing a chemical-free way of protecting the books, and alert the guard to changing weather with their "eee-eee" cry. While wandering around campus, you may see students wearing black capes, the traditional school dress. But to really get close to the students, stop in at the cafeteria for lunch. University cafeterias generally offer the cheapest meals and the most interesting crowd of fellow diners in town. During busy times, all seats are taken, and you're likely to find yourself munching with law students or their professors. Before heading back down into the heart of Coimbra, it's worth visiting the Machado de Castro Museum. Housed in an elegant old bishop's palace, it boasts many floors of mostly religious 14th- to 16th-century art. All of this sits upon the vast, barren understructure of an ancient Roman forum, which is also open to visitors. Walking through the two-level maze of vaulted galleries, evocative and beautifully lit, will leave you marveling at what you can do with slave labor. After a day of wandering, I like to cap it off with some fado, the folk music of Portugal. 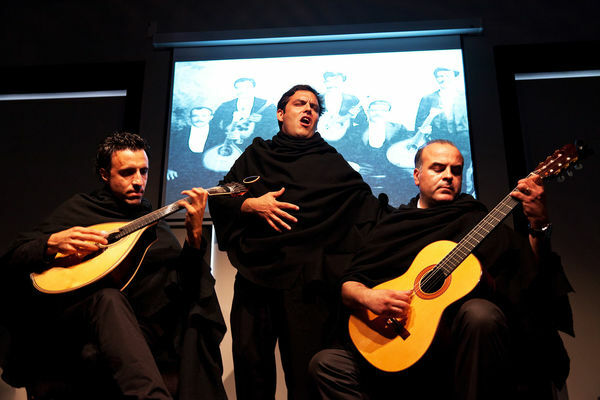 Though fado is generally performed by women, in Coimbra, men sing the fado. Rather than songs about love, loss, and hopelessness that's common in Lisbon's fado, songs here tends to be literary translations or follow themes students can relate to. Singers are accompanied by the Coimbra-style Portuguese guitar; locals say a good musician plays his guitar with art and passion, as if loving a woman. You can watch fado at various clubs, or you may stumble upon roving bands of students, dressed in their signature black capes and serenading around town for tips — and the hearts of women. Whether on the street or in a club, listening to this unique, mournful music, performed in its unique Coimbra style, feels like just the right way to end a day in this distinctive city.